And when upon their way they came to Bethlehem the day was done, and they must tarry for the night. But Bethlehem was thronged with people going to Jerusalem; the inns and homes were filled with guests, and Joseph and his wife could find no place to rest but in a cave where animals were kept; and there they slept. At midnight came a cry, A child is born in yonder cave among the beasts. And lo, the promised son of man was born. And strangers took the little one and wrapped him in the dainty robes that Mary had prepared and laid him in a trough from which the beasts of burden fed. Three persons clad in snow-white robes came in and stood before the child and said, All strength, all wisdom and all love be yours, Immanuel. Now, on the hills of Bethlehem were many flocks of sheep with shepherds guarding them. The shepherds were devout, were men of prayer, and they were waiting for a strong deliverer to come. And when the child of promise came, a man in snow-white robe appeared to them, and they fell back in fear. The man stood forth and said, Fear not! behold I bring you joyful news. At midnight in a cave in Bethlehem was born the prophet and the king that you have long been waiting for. And then the shepherds all were glad; they felt that all the hills were filled with messengers of light. In a cave, among the animals, a child was born in the middle of the night. The other-one-within-us has broken loose from his bonds and breathes. The first delicate signs of a completely new life, deep in the human heart, are immediately surrounded by the unknown forces of the new life, a life to which Mary-within-us had directed herself with unshakable certainty. And the child is “wrapped in the dainty robes that Mary had prepared”, which means that the child is immediately surrounded by light forces that protect him from harmful influences. Then this newborn is carefully laid down in the manger of the animals; and immediately three men appear in snow-white garments. They bring three gifts: strength, wisdom and love. Those are the three fundamental forces that make everything possible, the invincible forces that require a completely new life. For no human being of this world would be able to endure perfect power, absolute wisdom and all-embracing love. Opening up the new life within a human being is therefore like an all-encompassing love, like being irradiated by hitherto unknown forces that well up from an unfathomable source in the heart … The light birth, the birth of the light-in-man, has taken place. Gnostic Christianity considers the birth of Jesus as the birth of the new soul in a person who became like John. John is the one who had the power to purify himself by following a new path. The new soul is the higher vehicle, ‘the new garment’ which will ultimately allow the human being to enter his original world once again. The paradise myth in the Book of Genesis, at the beginning of the Old Testament, tells the story of Adam and Eve; a man and a woman who left their birthplace (paradise) and obtained a new residence (outside of Paradise). With the birth of Jesus at the beginning of the New Testament the return journey begins. There we read of a man and a woman, Joseph and Mary, traveling from their home to their place of birth. Mary is pregnant by the Holy Spirit. She is a virgin in the spiritual sense, pure d untainted, completely oriented towards the higher life. Joseph is the free builder, he who has purified his thoughts and directs them towards the soul. He symbolizes the aspiring human being who deliberately and perseveringly works and builds while staying focused on the divine. That work brings about a continuous process of purification that is guided by the soul. We can describe the Joseph and Mary within ourselves as the new thinking activity and the new way of feeling which are caused by the touch from the domain of the soul. 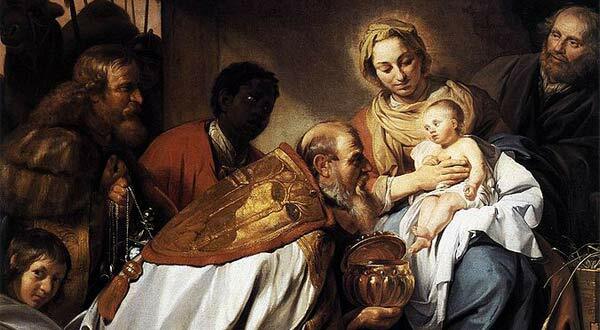 In this sense, Joseph and Mary can be seen as a higher octave of Zacharias and Elizabeth. After all, Elizabeth symbolizes the longing that is oriented to the good of the world, while Mary represents the orientation toward the higher life. The two are therefore related to each other and both bring forth children with a special task: John, who has the task of adopting the outer life to the new inner life; and Jesus, the child in whom pure Love, the highest possible in this universe, assumes a physical form. Jesus is born in the greatest darkness of the night in a cave in Bethlehem (meaning ‘bread house’) where ‘beasts of burden’ reside as well. Our inner ‘beasts of burden’ have done their job: the persevering, goal-oriented ox caused us to proceed ever onward and the donkey carried us on the most inaccessible roads of life. They brought us ‘home’. They belong to us and therefore they stay in the cave where the soul-being is born. And what could this cave be other than our own human heart? The human heart is like a cave system with one special birthing room: the right ventricle. There is the manger where our ‘beasts of burden’, the ox and the donkey, found their food with which we were able to complete our journey so far. But after all the preparation and purification, the same feeding place became a place where a completely different life-force could descend: Light itself. Food and energy for a whole new journey with which the entire personality will joyfully cooperate. In many cultures, a cave is an ancient symbol of a shelter, an image of birth and rebirth. Ritual meetings were often held in caves. Caves were also shelters for cattle and refuges for people in times of danger. Where do the legendary ox and donkey come from? In the first chapter of the Book of Isaiah, verses 2 and 3, the following is said on behalf of God: I reared children and brought them up, but they hav e rebelled against me. The ox knows its owner, and the donkey its master’s crib; but Israel does not know, my people do not understand. So the cattle know who feeds them and where they belong, but people have forgotten where they come from, who feeds them and who guides them. In a certain tradition, the ox and the donkey represent the ‘Jews’ and the ‘Gentiles’. The donkey symbolizes the Gentiles, the heathen who are suffering under the burden of sin and idolatry. The ox is then a symbol for the Jews who live under the yoke of the law, like an ox wearing a yoke during ploughing. In this instance, the yoke refers to being fully connected with and guided by the divine. The word yoke is derived from the Latin word ‘iungere’ meaning ‘to connect’ and is still recognizable in the word yoga, for example. Thus, the ox and the donkey stand together at the manger of Jesus, which symbolizes the idea that the inner light birth is not restricted to one single race or country but that it is a calling for all humanity. Every human being is able to celebrate the inner light birth at the appropriate moment in his or her life, in his or her own year zero. The Light Messengers, the visible and invisible spiritual leaders of humanity, descend into the world of time and space to support and guide humanity at every step on the spiritual path. The divine birth cannot be forced. You can only create the conditions for this birth to take place. How do you know if the new soul is born in you? 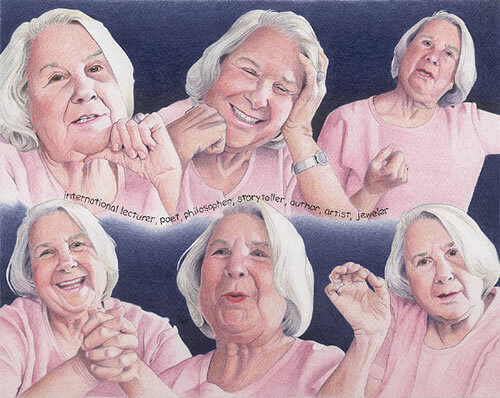 The famous mystic Meister Eckhart wrote about this: Now you turn your face entirely to this birth. Yes, you will encounter this birth in everything you see and hear, whatever it is. You are like someone who looks for quite a while at the sun, and afterwards sees the image of the sun in whatever he looks at. As long as you do not seek and perceive God in everything, this birth has not yet occurred in you. Even so, it was a particularly inauspicious beginning. Gabriel had come to a young woman in Nazareth named Mary. He told her that God had chosen her to be the mother of God’s only son and that the Holy Spirit would accomplish it. She agreed, and it was so. Joseph, Mary’s fiance, at first thought to divorce Mary quietly. But then Gabriel let him in on the plan and so he took Mary for his wife. I’m sure there was unpleasant gossip about the pregnant bride and her husband who some in town thought a fool for marrying her at all. It was not an auspicious beginning. In response to the census decreed by the Emperor Augustus, Joseph traveled to the hometown of his ancestor David. Apparently Joseph didn’t want to leave Mary alone so late in her pregnancy she rode a donkey 75+ miles to Bethlehem. There was no room in the inn so they wound up in a stable. Tradition says it was a cave. It was not an auspicious place for a birth. And there her first born son was born – laid in a manger – with the animals all around. It was not an auspicious nursery. It was not an auspicious audience. The shepherds went into Bethlehem and indeed it was so: Emmanuel – God with us. It was not auspicious in any way we would usually recognize! But the truly important things in our own lives have always come without auspicious beginnings. We never saw their importance at the time. It is only in getting still and looking at our life that we see the outline of meaning. Oh, we say, that’s what that meant. How amazed would Augustus be to know that more people know him from the opening line of the Christmas Gospel than from any inscription on a building in the forum in Rome? Quirinus is the only Roman Governor of Syria now remembered and that for an event which he never knew of. Those taking the census, those who could afford rooms in the inn that night never knew that an event born out poverty would be the very event by which we divide history before and after. The inauspicious surroundings of our lives are the very occasion new birth in us! It is the dark recesses of the stables of our souls that new birth begins. It comes quietly hardly noticed by the turning of new leaves and amid the litter of good intentions. It is when we are powerless and come to know it that the birth pain begins. We give up and know that we cannot make it on our own – there is a sudden irresistible movement of grace and there it is – new life – laid in the manager in amongst the ruin of our well laid plans. This is not what we expect. This is not what we desire. We want drama. We want the earth to tilt further on its axis in order that we will know that we are alive and that all is well. But that is not how it happens. Tonight heaven and earth meet in that inauspicious event born of poverty. Earth is drawn up into heaven. In the great silence — without observation – He is come! CS Lewis once said, “What a sorry place the world would be if it were always winter and never Christmas.” Well, it is finally winter even in Tennessee. 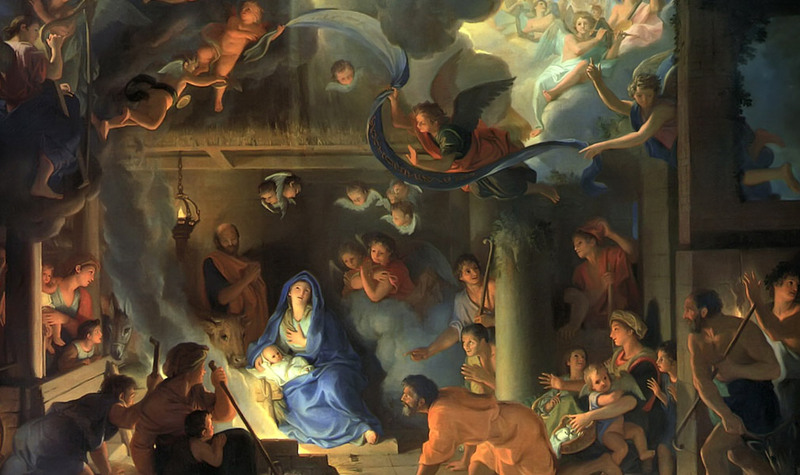 And it is Christmas — let us be still and silent before him that he may be reborn in us. What help could come our way if we were willing to pay attention to our dreams and visions. The resolute determination to avoid a meaningful connection between the inside and outside of our being almost rises to the level of what the Roman Church calls “Invincible ignorance” — the ultimately fatal decision to not accept the truth. However, in the past year I have been in sustained conversations with men who are working with their dreams and I observe the amazing change in them as them as they take seriously this communication. I have observed one fellow getting “unstuck” in his career as he listened to the coaching of his sleeping dreams. He had never considered such work, but now calls me with reports of his nocturnal adventures. I am more convinced than ever that soul work is the principal task of priests & deacons in parishes. It requires vigilance not to succumb to the tyranny of the immediate, losing focus on the essential task at hand. The institution of the church no doubt needs maintaining but only when that maintenance supports the Cure of Souls, as the ministry of the Church. 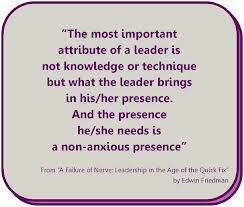 So long as Church leaders, lay and clergy, keep that in mind the institution thrives and souls are augmented. Even as your soul prospers, what if our life reflected the health of our soul? Would it look like Dorian Gray’s portrait? Some of the problems of life do not depend on our personal functioning. Other people’s choices can make a difference in the prosperity or famine of one’s life. However much of our dis-ease comes from within and Jesus warned when he said that what defines comes from within not what sort of food that is eaten. There are practices that appear to cross all religious systems and are near universal means for spiritual formation. Prayer is a human enterprise limited to no one religious tradition. Prayer is universal and even how one prays is widely similar. Now in these days a curious phenomenon has appeared. the secular rationalist and dismissive secular American. has begun to unconsciously fashion faux ancient practices. 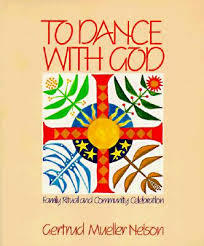 I got my first cue from Gertrude Muller Nelson in her book, TO DANCE WITH GOD..
1. What is a diet, but a soulless fast? Now, consider the ancient practices with a corresponding secular invention. 2. What is a vacation but a soulless pilgrimage without purpose or focus. It is small wonder that people return home more exhausted than before. A pilgrimage is a journey to the holy, while a vacation is avoidance of the self. 3. What the Liturgical Year is the practice of faith, Civil Religion is to the culture. In the eyes of the ignorant they are the same, sharing Christian holy days. Think of it this way. Music in the West uses the same notes for all compositions. The notes sound the same even though as they are played in different keys. The culture rather likes the Baby Jesus (so long as he never grows up enough to meddle) and Easter is there but the focus is on bunnies and Spring rites. July 4th and President’s Day pass for saint’s days, and the flag, that civil totem is equated, even in the minds of some Christians, with the Cross. I love my country and I keep the flag as far from the altar as possible. 4. While constant prayer is a posture of faith, the call to continual communion with the Holy, the culture constructed a continual litter of stimulus important to nobody but forwarded by somebody to everybody with red-flagged emails, all caps, demanding instant access. 5. Tithing, the re-gifting of some of the abundance we have received from God is an act of faithful gratitude. 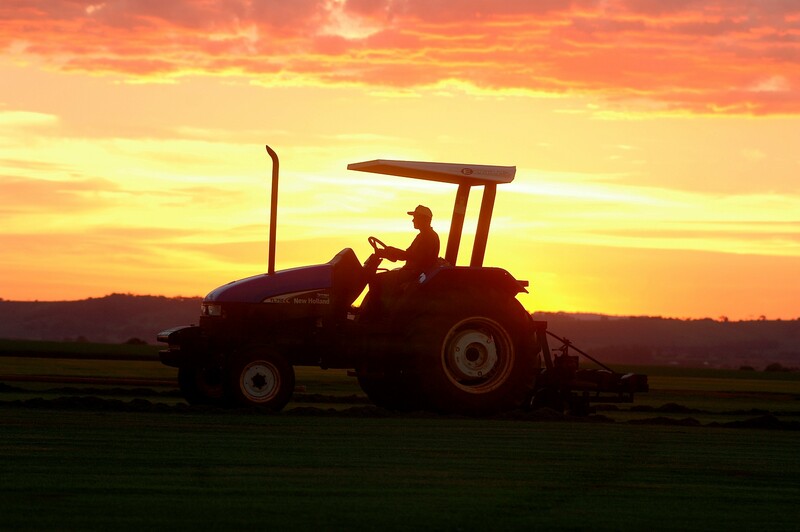 April 15th and taxes are the shadow of the economy of heaven. If tithing were not tax-deductible would it long endure? 6. The Sacred Meal of the Eucharist has as its counterpoint Thanksgiving, that yearly Festival of Civil Religion. It is wonderful in its way, has vague Christian trappings but is firmly civil Religion. 7. Sabbath is a time but more an attitude of getting quiet before God has as its opposite: the weekend. I don’t think I need say more. One is holy and the other runs us ragged. 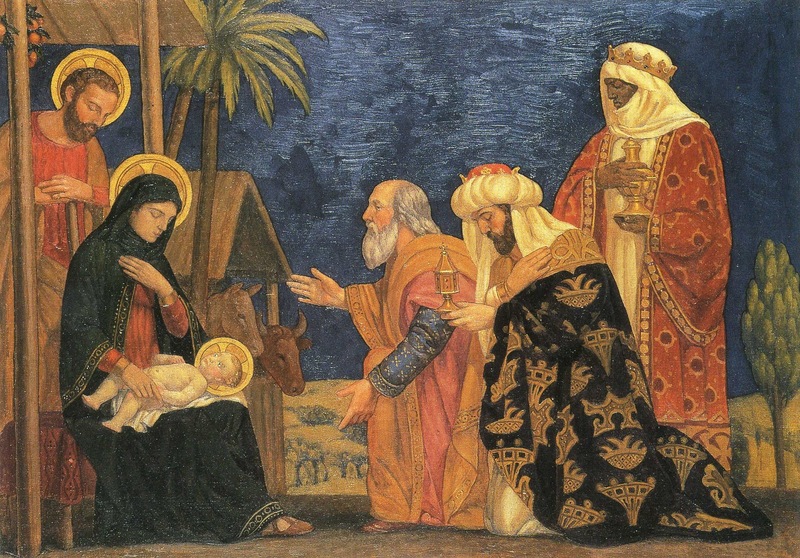 What would have happened if, at Epiphany, there had been wise WOMEN instead of wise men at Bethlehem? They would have asked for directions, arrived on time, helped deliver the baby, cleaned the stable, made a casserole and brought practical gifts! Most people know nothing of the Epiphany. 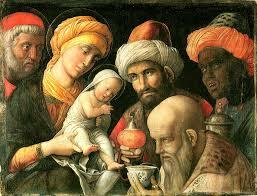 As a feast of the Church, The Epiphany ranks with Christmas, All Saints, Ascension and Pentecost. Unlike Christmas Eve, we will not need four services tonight to accommodate worshipers. The Word Epiphany comes from a Greek word that means to manifest or to reveal. The deep mystery of the Incarnation – the coming of the Second Member of the Trinity – to live as a human being, now is revealed or displayed not just to the Jews but to Gentiles. In Judaism the thread of universal salvation weaves in and out among the fabric of Israel’s special call. Periodically individual gentiles found their way into the household of Israel, such as Rahab the harlot of Jericho who hid the spies sent by Moses to scope out the Promised Land and Ruth the great grandmother of King David was a woman of Moab. Following the star, they came via Jerusalem where the wise men met the wise guy, Herod, King of Judea. They asked to see his newborn son. Herod had no such son. Bethlehem is the place to look they were told. “Come back and tell me when you find him” said the wise guy. And when they came to Bethlehem the star stopped over the house where the holy family was living. After they worshiped they wisely went home another way avoiding the wise guy back in Jerusalem. We come tonight celebrating know what we know realizing that our most elegant descriptions of God are always just descriptions. We will never know enough to know what we want to know. The good news is that we experience God without understanding. The love of God is a very different economy from the economy of epistemology! Jesus never said, “repeat after me.” What Jesus said was, “follow me.” So let us follow him who was manifested to the magi, that through his cross and resurrection, the love of God revealed through him will be manifest in us. Joseph is the silent partner of the Holy Family. No word he spoke is recorded in scripture. He was a man, however, who paid attention to his dreams. It is for his dreams that we remember him. Men and Women are different in many ways and there also seem to be some differences between the dreams of fathers and the dreams of mothers: Mothers tell us who we are and Fathers tell us who we are to become. Mothers are about origins/birthing, the nesting frenzy of booties, cribs, gowns etc. There is only one beautiful child in the world and every mother has it! 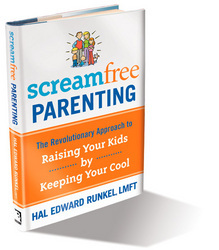 On the other hand, Fathers tend to look to the future and show up at the hospital with baseball mitts, footballs and open college accounts on the day their child is born. We see some of the same issues in the story of the nativity. Mary gets most of the attention and nearly all of the credit. Joseph gets little attention and no credit at all. Yet Joseph is the ordinary-extraordinary man that God chose to be the earthly father to his only son, the Christ. The thing that strikes me about Joseph is that he is a man who pays attention to his inner life. Scripture records four of Joseph’s dreams. Mary is pregnant. The child is not Joseph’s child. As he was pondering what to do he fell asleep and dreamed. A messenger (angel) of the Lord appeared to him in his dream and said, “The child is the product of the Holy Spirit so do not fear to marry Mary. ”So Joseph took Mary and went to Bethlehem and the baby was born in a stable in a crowded city. And the angels came to the shepherds and the shepherds found the stable. Time passed. It appears that the baby family settled in Bethlehem, as that is where the Magi found the family, tradition says two to three years later. Here Herod enters the story. He is the stereotype of the “wicked king”. He learned from the mysterious eastern visitors that a “new” king had been born and decides to kill him before he can become a problem. Recently I learned that Herod had one of his 11 palaces in sight of Bethlehem, a fortress-palace called the Herodion. In my mind I see the King standing on the single high tower of the place watching the torches move from house to house while his henchmen did the terrible injustice to the innocent. 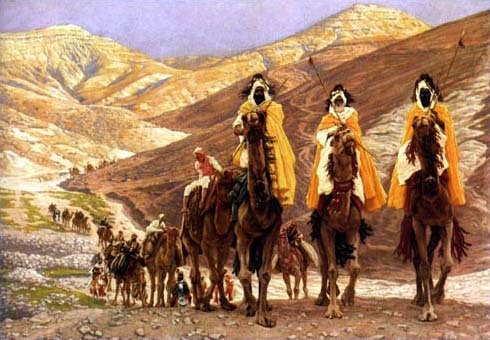 After the Magi have departed by another way, true to form, Joseph had a dream. An angel told him that Herod would kill the child and that the holy family should flee to Egypt. Joseph arose right then and by night took Mary and the child and traveled to Egypt. After Herod had died, in a dream, an angel instructed Joseph to, “Go home.” Back they go from Egypt to Judea. Back in Judea Joseph is uneasy about the new ruler, Archaleus, Herod’s bouncing baby son. In yet another dream an angel gives further instructions, “Do not stay in Bethlehem. Archaleus is as evil as his father.” So they settled in Nazareth and Jesus was known as a Nazarene. Where would we be today if Joseph had not paid attention to his dreams? Joseph was sensitive to the realities of the spiritual world. He becomes for us a model of faith. Had Joseph not been in relationship with God he could have attributed the dreams to indigestion caused by the pizza he ate last night. Or maybe because of the stress he had been living with. This radical openness to God, this willingness to be led by the Spirit is a critical component of what it means to be used effectively by God. A Hasidic tale speaks of the “faith treasure” that lies within each of us, if only we will pay attention to the guidance given us. Isaac, in the simplicity of his poverty, told his dream to the captain. Hardly able to contain his laughter, the captain replied, “Why you old fool, where would we be if we took notice of our dreams? Why, only last night, I dreamed that if I were to journey to a small village, miles from here, I would find some treasure hidden behind the fireplace in the miserable hovel of an old Jew named Isaac. Be off with you, old man. Take your foolishness elsewhere!” And, of course, Isaac went home as fast as he could and found treasure behind his own hearth. The question is how do we become like St. Joseph? Act as if the spiritual realm exists. Churches are full of people who live as if the physical word – the world of the five senses – is all there is. What if we began to act as it the world of scripture, which assumes there a supernatural, were true. How would that change how we live our life? Would we be different at our jobs? Begin by saying, “There is a realm of realty that is beyond the purely physical world. I want to know more about that realm.” Pray and ask God to reveal this spiritual to you. Begin one’s pilgrimage with serious purpose. What would happen if we engaged our spiritual life with the same energy that we do our jobs? What would happen? Be as honest with oneself as possible. We must be honest before we are able to face and grow through many things. Denial is the mark of human nature since the Garden of Eden. We hope that if we don’t admit that there is an elephant in the living room no one else will notice either. Keep records of dreams. God still speaks to us from our unconscious. Read and study the spiritual life. Give of time, talent and money to this parish and beyond. Practice the faith – we don’t have to get it right every time – faith is a laboratory. Seek God. It is important to become as open to God as we know how and then expect him to meet us. As Scripture states if we draw near to God, God will draw near to us!” God speaks to us in many ways. On many occasions, I have heard the word of the lord coming from the lips of someone who never knew that what they said had some power for my life. Many of us are walking around, hunting and hoping for what might have been or what might be but that is where it ends. The Good News today is that God is at work in the world. The people that walked in darkness have seen a great light. And they are us! I invite you and me to be open in this New Year to the possibilities that God has for us. Folks in Alcoholic Anonymous speak of the “consequences” of alcoholism. I have a dream that Saint John’s will be a place where people encounter God with all the extraordinary “consequences” such encounters entail. What consequences await us this year? We have new dreams and we have the old dreams that have yet to come to pass. Dreaming dreams is part of my job, but the dreaming of this community is everyone’s responsibility. What is your dream? What is your dream for you, your family, and this faith community? “Sacrifice really involves the art of drawing energy from one level and reinvesting it at another level to produce a higher form of consciousness.” In 2014 what are we willing to sacrifice that we may become whole in body, mind and spirit? Here also Joseph is a sign and a model to us. 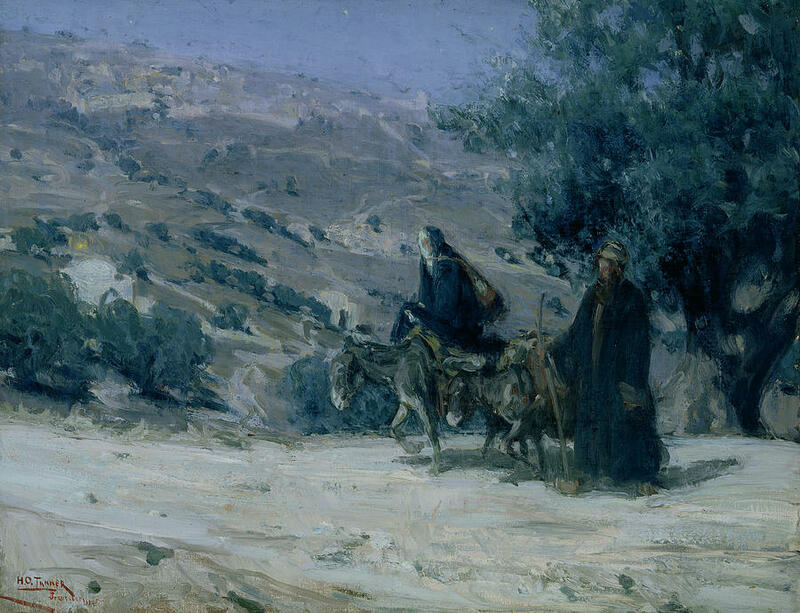 Tradition says that Joseph was much older than Mary. Here his whole life has been uprooted by this mysterious pregnancy and birth attended by angels, shepherd, and wise men. He is faithful to the call of the angels in his dreams. He pulls up stakes time after time, moving to new towns and a new country. 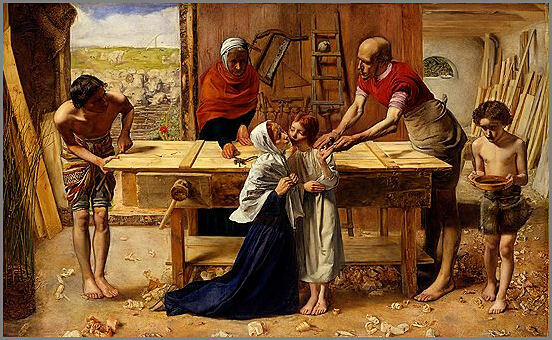 He goes back to Bethlehem with Mary and the boy and sets up his carpenter business all over again. Luke tells us that Joseph was alive when Jesus was twelve and in the temple. After that he disappears from the scriptures without a trace. Joseph, the patron saint of workers, is also the patron of people who keep on keeping on. Those who put one foot in front of the other, day after day, week after week, many coming like Joseph to the end of their life or rope without seeing the thing they have hoped for and had been promised. Apparently Joseph died before Jesus began to proclaim the Kingdom of God. Joseph was more faithful than successful. He is the patron of the doggedly faithful. What a moment it must have been when Jesus went to the place of the dead proclaiming the resurrection? I’ll bet that right behind Abraham, Isaac, Jacob, Moses and Elijah was the man who first taught Jesus what it meant to call somebody Abba/daddy. 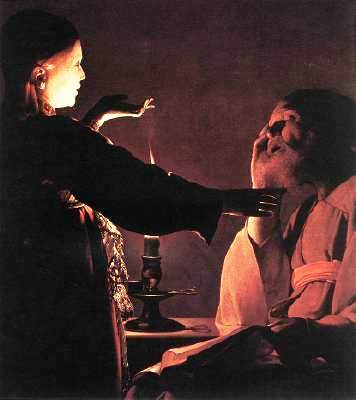 Pray that we, like St. Joseph, will be open to God’s working in our lives. Pray that we will hear God’s call in our dreams and then with patience and courage follow where God leads in 2014 and in the age to come. What did we learn at Thanksgiving that will get us Through Christmas? The Holy Days are coming, those occasions that by the rhythm of once a year but all our lives mark the seasons of living. We live in a country that has the double whammy of Thanksgiving followed a month later by Christmas. We have double helpings of feasting and double visits from family. One raises our cholesterol and the other our anxiety. Who will experience the most anxiety and who the least? What amount of “space” is between me and the family? Am I stuck or cut-off? How much energy is spent on the “issues” of being together? How do you stay “loose” in the family so that you can risk being an adult? How can I define myself, sometimes by keeping my mouth shut? How can I focus on the reasons that I love my family even while being with them? Can I go into “research mode” and seek to learn from my family, resisting the temptation to give advice and fix them? The country is anxious, states, cities, neighborhoods are anxious. How to do deal with this anxiety during the most anxious time of the year? As my teacher, Ed Friedman, used to say that, “consistency is only possible when we Focus on our own functioning. Breathing in and breathing out is a good focus when anxiety rises. Getting more oxygen aids thinking and breathing may be the only thing that we can control. Stick to the facts not what we think they meant by the words they spoke. If things get more than we can take find an excuse to take a walk or visit a sick friend and then come back later. If you are out of town, hotel rooms are neutral. Now I will see if I can take my own advice. In addition to the national and religious holy days we also have the annual parish meeting on this coming Sunday, December 8th. Please come and join us as we take council in this annual gathering of the parish. Let’s focus on the things that matter so that we are not distracted and miss them. Advent begins on November 30, The Feast of Saint Andrew. Temperatures bounce from summer to fall and back again. We know winter is coming we just don’t know when, suddenly or seamlessly. Our lives have metaphorical seasons as well. Birth comes in spring, summer is bright with life & heat, fall is fruitful leaning toward winter and a live well lived or not. We are a year older than last Advent. None are ignorant of this fact but may well be un-conscious of the meaning. A couple of years ago as I turned 60 I came to myself to realize that I had passed middle-age (which ends at 55, they tell me) without realizing it. 60, they tell me is the new 50! That is all well and good; however, my body still has not gotten the news. I don’t feel like I’m 50 again, mind you. The Gospel John 9.4, records our Lord say, “I must work the works of him that sent me, while it is day: the night cometh, when no man can work.” [KJV]. Summer days have full and long sunlight. Fall days have the smell of fallen leaves with a wisp of dry mushrooms, a ripe fullness, but also with a certain wistful urgency for day is passing and twilight falls. Advent is a time for waiting, not asleep slothful but with intention, one ear tuned to hear the word, “He is coming.” He who came among us as a child will return and receive us to himself that where he is we may be also, this is the good news of God in Christ. Whatever season of our life, each has pleasure and sacrifice. Grant that we may enjoy the first and embrace the latter, for in the economy of heaven they are cut from the same cloth of glory.